Darkhorse Wrestling is a qualified 501(c)(3) Not For Profit Organization which is dedicated to affecting positive outcomes in young people through wrestling, in and around the Charlotte, NC area. Additionally, we are driven to establish Charlotte as the premiere wrestling location across the Carolinas and the southern United States at large. 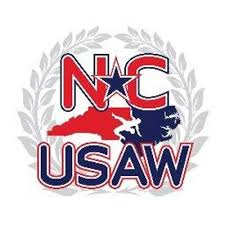 By introducing young wrestlers to the sport and by providing more experienced wrestlers with top-flight coaching, Darkhorse Wrestling has a focused drive toward promoting the sport of wrestling and enhancing Charlotte's position on the state and national levels. In doing so, we hope to help develop a sense of dedication, hard work, responsibility and accountability in the young people who choose to join us at Darkhorse.